She was an innovator, motivator, and mentor to nurses in all phases of their careers and an advocate for chronically ill patients and worked to involve the community in public health issues as well. Hall was born on September 21, 1906 in New York City as Lydia Eloise Williams. 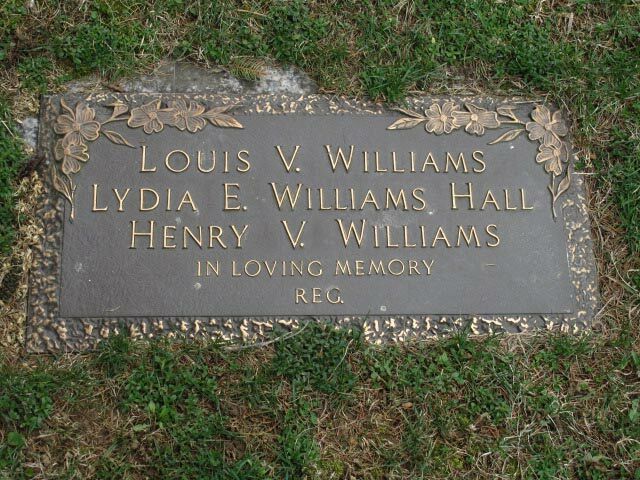 She was the eldest child of Louis V. Williams and Anna Ketterman Williams and was named after her maternal grandmother. Her brother, Henry, was several years younger. At a young age, her family decided to move to York, Pennsylvania, where her father was a physician in general practice. Hall graduated from York Hospital School of Nursing in 1927 with a diploma in nursing. However, she felt as if she needed more education. She entered Teacher’s College at Columbia University in New York and earned a Bachelor of Science degree in public health nursing in 1932. After a number of years in clinical practice, she resumed her education and received a master’s degree in the teaching of natural life sciences from Columbia University in 1942. Later, she pursued a doctorate and completed all of the requirements except for the dissertation. In 1945, she married Reginald A. Hall who was a native of England. Just like any other nurses who have passion in their craft, Hall’s nursing experience was functional, proficient as well as hypothetical. She spent her early years as a registered nurse working for the Life Extension Institute of the Metropolitan Life Insurance Company in Pennsylvania and New York where the main focus was on preventative health. She also had the opportunity to work for the New York Heart Association from 1935 to 1940. In 1941, she became a staff nurse with the Visiting Nurses Association of New York and stayed there until 1947. Hall also managed to be an advocate of community involvement in public health issues. And in 1950, she became a professor at Teacher’s College at Columbia, where taught nursing students to function as medical consultants. She was also a research analyst in the field of cardiovascular disease. 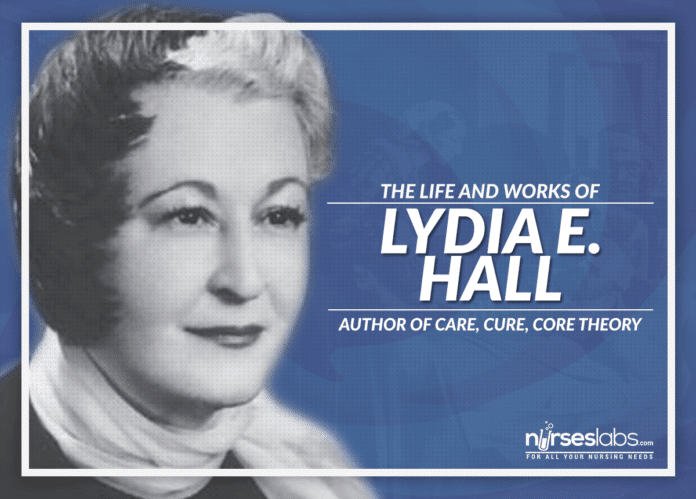 Hall’s interest and research in the field of rehabilitation of chronically ill patients brought her to develop her now-famous Care, Cure, Core Theory. She was always interested in rehabilitative nursing and the role that the professional nurse played in the patient’s recovery and welfare. With these, she became involved in the establishment of the Loeb Center for Nursing and Rehabilitation at the Montefiore Medical Center (MMC) in the Bronx, New York. The Solomon and Betty Loeb Memorial Home for Convalescents had provided community services at Montefiore Hospital since 1905. In 1957, the Board of Trustees decided to expand the services and entered into a partnership with the hospital to construct a new facility. Dr. Martin Cherkasky, director of the hospital, contacted Hall to lead the venture, and she worked from 1957 to 1962 on all aspects of the project including construction and administration. As the founder and the first director, she was determined that nurses were in charge of everyday activities and transactions. 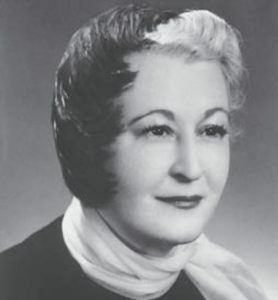 Hall then worked as the first director of the Loeb Center for Nursing. Her nursing experience was in clinical nursing, nursing education, research, and in a supervisory role. Through her leadership, the nursing-centered care reduced rehabilitation time and length of stay by up to one-half to one-third. The center became a prime example of nursing-led care, and many centers in the United States and Canada followed its principles. During her time there, Hall authored 21 publications and a bulk of articles and addresses regarding her theory. Hall used her knowledge of psychiatry and nursing experiences in the Loeb Center as a framework for formulating her theory. Also known as “the Three Cs of Lydia Hall,” it contains three independent but interconnected circles: the core, the care, and the cure. The core is the patient receiving nursing care. The core has goals set by him or herself rather than by any other person, and behaves according to his or her feelings and values. The cure is the attention given to patients by medical professionals. Hall explains in the model that the cure circle is shared by the nurse with other health professionals, such as physicians or physical therapists. These are the interventions or actions geared toward treating the patient for whatever illness or disease he or she is suffering from. The care circle addresses the role of nurses, and is focused on performing the task of nurturing patients. This means the “motherly” care provided by nurses, which may include comfort measures, patient instruction, and helping the patient meet his or her needs when help is needed. Hall’s theory emphasizes the total patient rather than looking at just one part and depends on all three components of the theory working together. In 1967, Hall received the Teacher’s College Nursing Education Alumni Association (TCNEAA) Achievement in Nursing Practice Award and also was their Nursing Hall of Fame inductee. In 1984, she was inducted into the American Nurses Association (ANA) Hall of Fame. Hall died on February 27, 1969, at Queens Hospital in New York. Genrose Alfano continued her work at the Loeb Center until the focus of the center was changed to that of custodial care in 1985. Alligood, M., & Tomey, A. (2010). Nursing theorists and their work, seventh edition (No ed.). Maryland Heights: Mosby-Elsevier. George, J.B.; Nursing Theories: The Base for Professional Nursing Practice; 2000. Alligood, M., & Tomey, A. (2010). Nursing theorists and their work, seventh edition. Maryland Heights: Mosby-Elsevier.